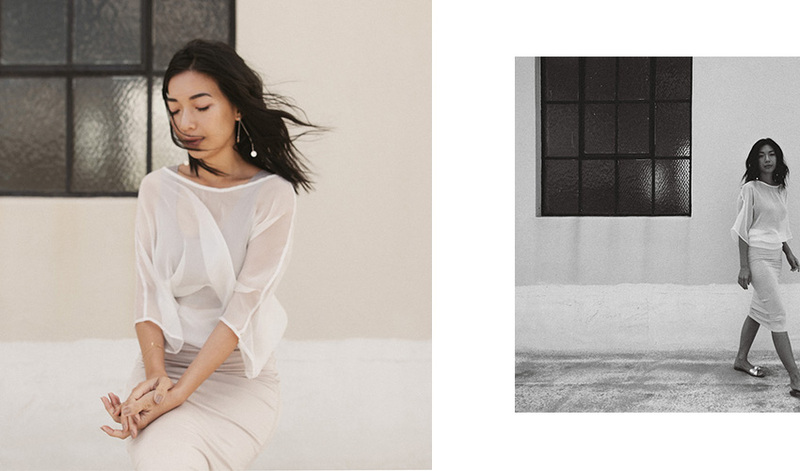 HONEY AND SILK: How To Do Summer in True & Co.
How To Do Summer in True & Co.
Summer slips, linen dresses, loose blouses - the most carefree season calls for a carefree wardrobe by True & Co. When the sun is shining, the rooftops of LA are calling. Super bonus points if you find one with a pool. Underneath a silk drape, True & Co.'s True Body bra sincerely lives to its name. Its breathability and airiness gives way to delicate layering for summer and the comfort of your life. For a girl who choose clothes so she doesn't have to wear a bra with them, the True Body bra changes everything. No wonder it's sells out every time! Where there’s sun, there’s a spritzer. Check out my favorite afternoon spot Bar Stella for the chicest refreshment situation. When summer rolls around, buttons on a button-up are just for decoration. I love tying the ends in a little knot and just let the top hang loose, off-the-shoulder, with a charming lace bra peeking through. The Bryant Bralette is pretty, dainty, and comes with a breezy cool disposition. On a midsummer’s eve, take in the starry night with a nostalgic drive through Mulholland Drive, hood down. An outfit I'm repeating on weekend nights is a modern silk suit with a hint of the 90's silhouette. Dressing elegant doesn't have to be boring, so a simply stunning lace bralette underneath the silk jacket would be all it takes for a romantic, sophisticated look. Thank you to True & Co. for partnering with me on this post! As always great post and photos!